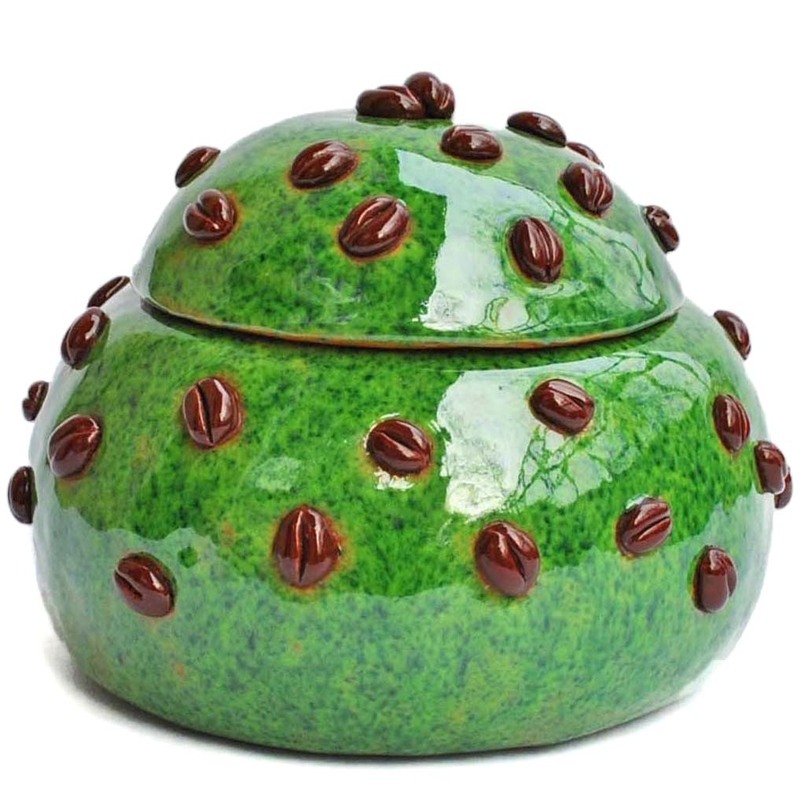 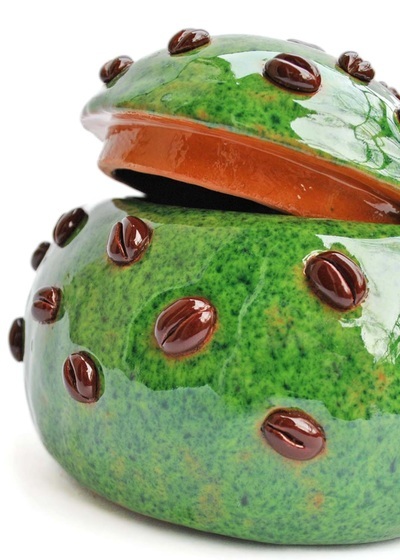 This bright green glossy ceramic box studded with coffee beans can be home to your jewellery or any other small cherished items. 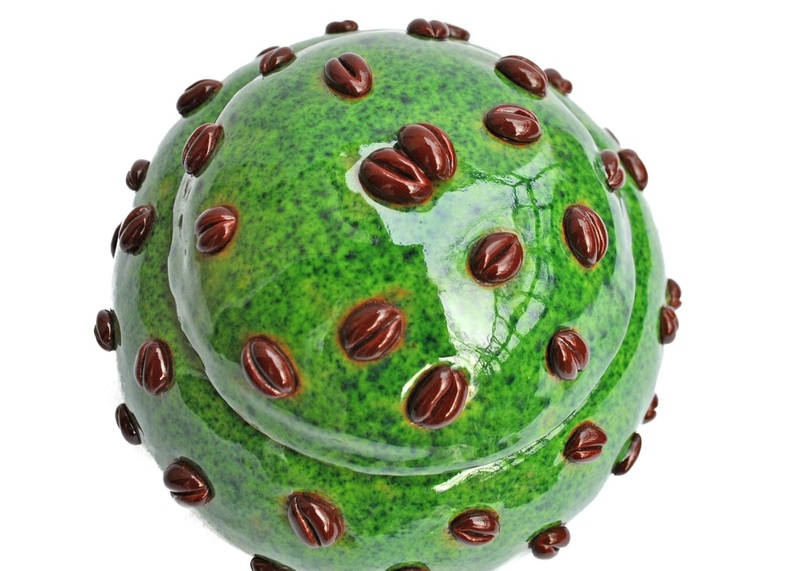 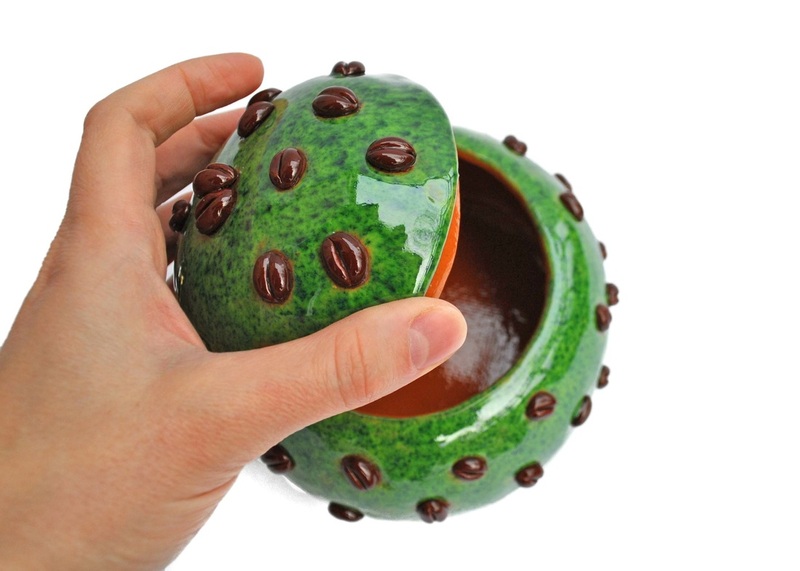 Each coffee bean is hand-sculpted and carefully attached to the round surface. 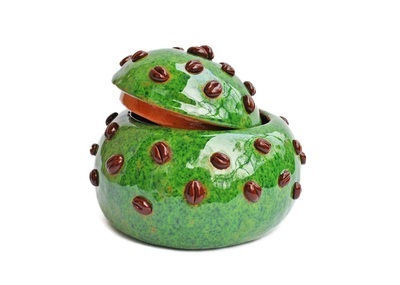 This eye-catching little box is a real eye-turner and a refreshing spring touch for your home. 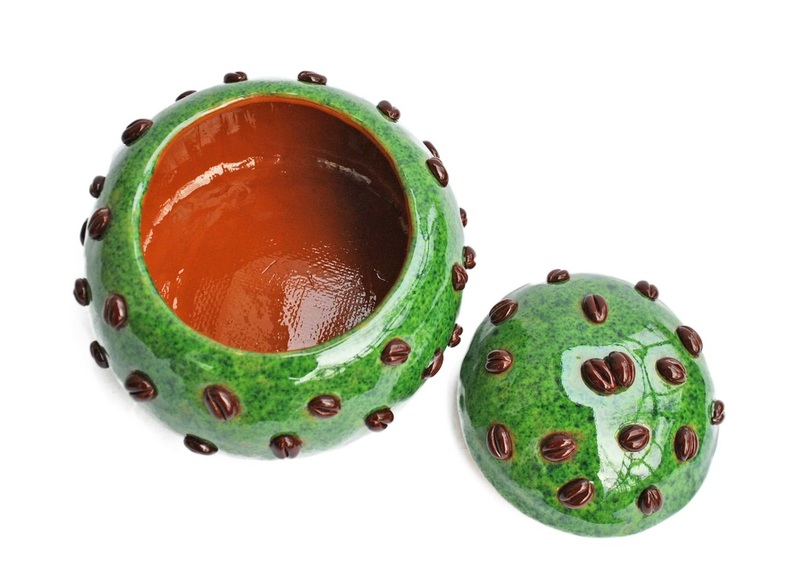 ​The box is approximately 11 cm (4.3 in) tall and ~14 cm (5.5 in) wide.